Offering a financial education seminar is a great way to help your employees and their families gain understanding and build confidence in their financial future. Did you know that one in four American workers say they’re under serious financial distress? Now imagine how this distracting dilemma affects their performance, focus, attendance, and morale. Studies show that employees who are financially distressed are less productive and spend time worrying about their stressful personal financial situation – which adversely affects their work production. 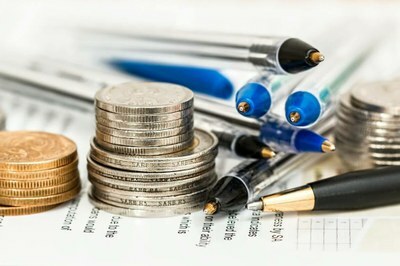 By simply providing basic financial literacy education to employees, their productivity is more likely to increase, along with their happiness and sense of well-being. This improved sense of financial security can lead to improvements in turnover, company loyalty, lower medical claims, and employee state-of-mind. Another benefit to providing a quality financial literacy program is that it helps employees develop good financial behaviors over time. The result of these positive changes in their financial lives includes increased assets, decreased liabilities, increased net worth, and confidence they can transition smoothly into retirement. To be successful, employees must have on-going education and a blueprint that outlines the action steps or changes that need to take place, and one that keeps them accountable to achieving their goals and objectives. The Society for Financial Awareness (SOFA), is a national 501(c)(3) nonprofit organization that promotes financial education in the community. SOFA is comprised of financial professionals who volunteer their time to their communities by conducting no-cost, on-site financial educational workshops and seminars to companies, churches and other organizations on 30+ financial topics, tailored to the needs of the audience. SOFA workshops also helps satisfy the ERISA 404(c) requirements for organizations that offer retirement plans. No products are ever discussed or sold at these seminars. These are not sales events, but rather educational events that provide a foundation for individuals to assess their financial situation so that they can make proactive changes to improve their chances for financial success. To host a FREE workshop at your organization or to learn more, please visit sofausa.org or contact Kristen Lomax at klomax@sofausa.org or (425) 615-1114. Visit sofausa.org/education/seminars for a list of 30+ topics that may interest you. Attend their workshop on Getting Fiscally Fit on Jan. 16, 2019 from noon to 1:00 p.m. at the 2100 Building. The Society for Financial Awareness (SOFA) is a specialist listed in 501 Commons' Nonprofit Resource Directory.